Steven Weinberg is raking it in! THE FULL STORY IS FINALLY REVEALED! Reader, if you don’t get it, you may either be too young, in which case ask your father or uncle; or this may a cultural problem, in which case ask an American. Master Sergeant Ernest G. Bilko, United States Army, service number 15042699, hatched this plan shortly after the Elvin Pelvin Scam. He had read about Monsignor Georges Henri Joseph Édouard Lemaître and Edwin Powell Hubble in a newspaper article, and saw the opportunity. Of course he had fully recognized that this was one scam that was going to take time to pay out. He was not going to live to benefit himself from it. But this one he did pro bono, for the posterity. He wanted to inspire the future generations with his example. So on his next leave, he got together with some physics types, and set things in motion. They met in great secrecy in an unnamed ghost town of California on a New Moon night. He told the physicists to “wrap this thing in a lot of your kind of thinky mumbo jumbo, and never let anyone know that I am behind this.” The rest is history. So the question now is: Who did benefit in the end? John Mather, George Smoot, Arno Penzias and Robert Wilson are people who nobeled from Big Bang Theory. They got name and fame and some fortune. Smoot, and to a lesser extent Mather, reportedly made money from book royalties. The ‘advance’ I have read for Smoot is $2 million – not exactly chump change. This here is a very fine example of how great monies can be made from a bogus enterprise. 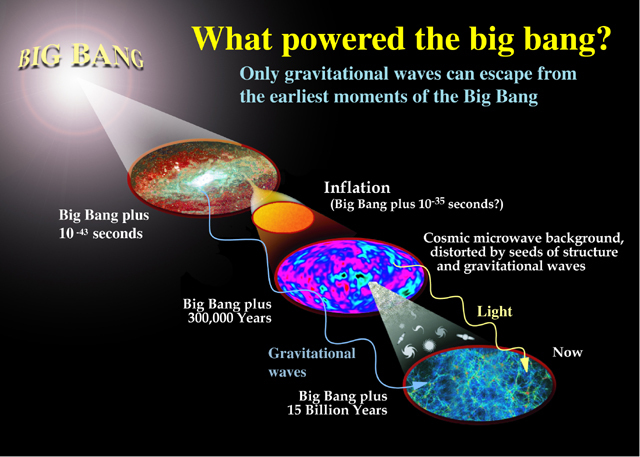 But it seems that Steven Weinberg (also a Physics Nobel Laureate – but not on Big Bang Cosmology) of the University of Texas at Austin, may be the one who has converted Big Bang Cosmoloy to greenbacks with the greatest efficiency. In other words, he is the worthiest disciple of Sgt. Bilko. Weinberg’s book The First Three Minutes must be in most every academic and public library in the US, and to a lesser extent the World. And imagine how many private people have bought it! And then comes his book Cosmology. Three years on since hard evidence of science fraud was offered in public, Weinberg today continues to merchandize his fare. It is like a dealership continuing to sell the recalled Toyotas. What the suckers don’t know will not hurt them! Stephen Hawking probably has not to done too badly either. There is a Yiddish proverb: If you ask the Rabbi he will surely find something wrong. Likewise, it seems to me that people like Weinberg and Hawking have adopted the attitude: I don’t know, and don’t want to know. Why indeed? $$$€€€¥¥¥£££ …..oooooo …goody!!!! Where do Steven Weinberg and Stephen Hawking stand on John Mather science fraud – now that it is three years since the fraud was exposed? Lord preserve this World from scamming intellectuals! But we ain’t out of Texas yet. I know it! I’ve done that drive. But I ain’t done makin’ hay yet. I don’t understand this. By any reckoning Weinberg is a very wealthy man. I am a poor man. But I do have a roof over my head, and enough to eat. So I don’t see any need to scam my fellow human beings. Sure, a bit more money would be nice – I could go out for some fish-and-chips. But I wouldn’t want it by scamming you folks. If you know, tell your kids. Now remind me again, why was Immanuel Velikovsky chased out of Dodge City?! This entry was posted on February 23, 2010 at 9:07 am and is filed under NASA's COBE Satellite fraud, The Age of Fakery. You can follow any responses to this entry through the RSS 2.0 feed. Responses are currently closed, but you can trackback from your own site.